Earlier today, we asked our Black Mail Readers to name the 2 men in this photo: They are James Brown (left) and Rev. Al Sharpton (right). Carl Brashear was born in 1931 in Tonjeville, Kentucky. He was the 6th of 8 children born to a sharecropper family. At age 17, in 1948, he entered the Navy and began training in Great Lakes, IL. He experienced prejudice and poor treatment from one of his navy recruiters. This did not discourage him. He passed the Navy entrance exam and enlisted. It was during this time that he developed and interest in diving. During this era, blacks in the military were often held back from prominent roles such as diving. Instead they were often placed in steward or food service type roles. After many requests, Brashear’s commanding officer allowed him to practice in the Navy pool and begin training. As a result, he faced threats and intimidation due to his race. He continued to persevere despite the obstacles and soon became Leading Diver and Port Duty Chief. In 1966, while aboard the USS Hoist, Brashear was badly injured in an accident while searching for a bomb. There was no doctor on board and it took 6 hours for him to receive proper medical attention. By the time he did reach a military base to receive treatment, those treating him thought he was dead and sent him to the morgue. However, another physician in the morgue checked him one last time and found a faint heart beat. While the medical team was able to save his life; an infection and gangrene had set up in his injured leg. After 2 months, he had to have his leg amputated below the knee. He was then fitted with a prosthetic leg. Due to his injuries the Navy sought to retire him; feeling that he was unfit for duty. However, Brashear was able to demonstrate that he was still able to serve and perform diving functions and other duties. He underwent grueling training to continue moving towards his goal of becoming a master diver. The training involved him carrying 290 pounds of diving equipment. In March of 1967 his doctors finally transferred him to Second Class Diving School at Norfolk. He was then put back to full active duty and full diving status in April of 1968. He would become the Navy’s first amputee diver. It was in 1970 that Bashear finally achieved his goal and was named Master Diver, the first African American in Navy history to do so. He retired from the military service in 1979 and then worked for the government in various roles. He retired from government service in 1993. Bashear died of respiratory failure and heart failure in Porstmouth, VA on July 25, 2006. The story of his life and achievements was portrayed in the movie, “Men Of Honor” starring Robert Dinero and Cuba Gooding, Jr. in 2000. Guess Who? Name The 2 Men In This Photo. Guess Who? Comment and share the names of the individuals in this picture. Answer will be posted at 6pm EST. Black Mail Fast Facts: Many people know about legendary baseball player Jackie Robinson. He was the first African American player to integrate major league baseball. What you may not know about him is that he was a lieutenant in the 761st “Black Panther” Tank Battalion of the U.S. Army. In 1942, he was one of the few black officers in the unit who refused orders to sit in the back of a military bus at Fort Hood, TX. As a result, he was court martialed. The charges were eventually dropped against him. The orders to have him sit in the back of the bus were actually a violation of War Department policy which prohibited racial discrimination in recreational and transportation facilities at all Army posts. 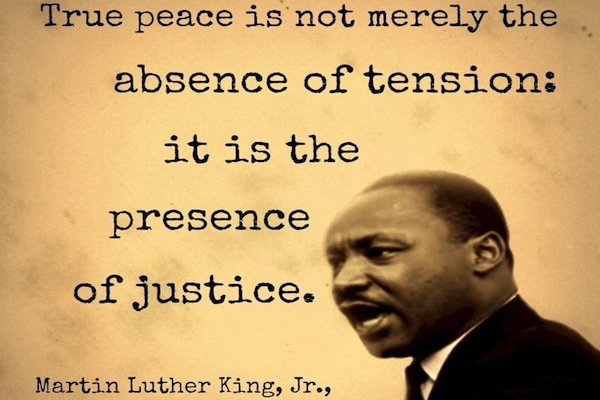 True peace is not merely the absence of tension; it is the presence of justice. – Martin Luther King, Jr.
Click the link to learn more about the devastating impact of Woodrow Wilson’s presidency on African Americans. You will also learn about how students at Princeton University (where Wilson served as college president) are rallying to expose his racist legacy! 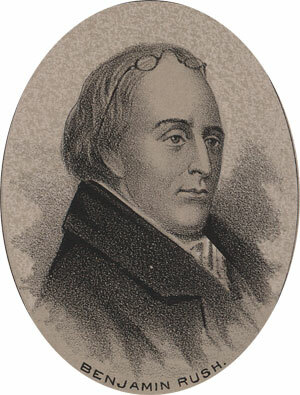 Dr. Benjamin Rush is known as the “Father Of American Psychiatry”. He was also an abolitionist. Rush believed that blacks suffered from a disorder he called “Negritude” due then having dark skin. He described this condition as being akin to leprosy. The only cure for the condition was to become white. Some of our Black Mail readers may remember our previous post about “Drapetomania”, a condition used to that characterized the desire of slaves to run away and seek freedom as an illness. Scientific racism is institutional and systemic. It exists today. Born in 1882, Violette Anderson, was an African American attorney and judge. Anderson was born in England to a German mother and a West Indian father. Her family relocated to U.S. when she was a child. Anderson graduated from North Division High School in Chicago in 1899. She worked as a court reporter from 1905-1920 which peaked her interest in the field of law. She earned her LL.B. in 1920 and then started a private practice. She was the first African American woman to practice law in U.S. District Court-Eastern Division. Anderson served as the first female city prosecutor in Chicago, a position she held from 1922-23. She was later admitted to practice before Supreme Court of the United States in 1926. This achievement made it possible for other black females to do the same.